For the 12th annual Willis Barnstone Translation Prize, there are three winners. Congratulations go to Stephen Campiglio, Sara Nović, and Marci Vogel! If you entered the contest, as I did, then you received the notice last week. Here’s the letter I received: Barnstone Translation Prize 2013. 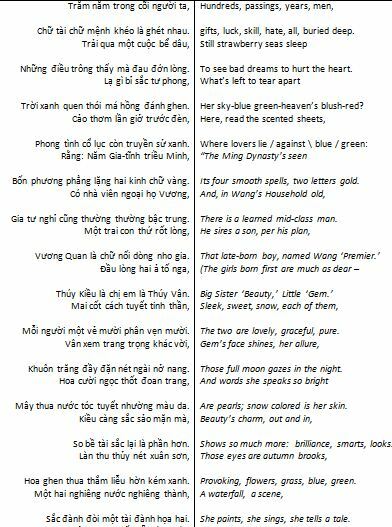 If anybody might be interested, and might appreciate a Vietnamese poem rendered into English, I’m sharing a couple of things below: a bit of a preface to one of my entries submitted, and then a bit from that poem and translation.